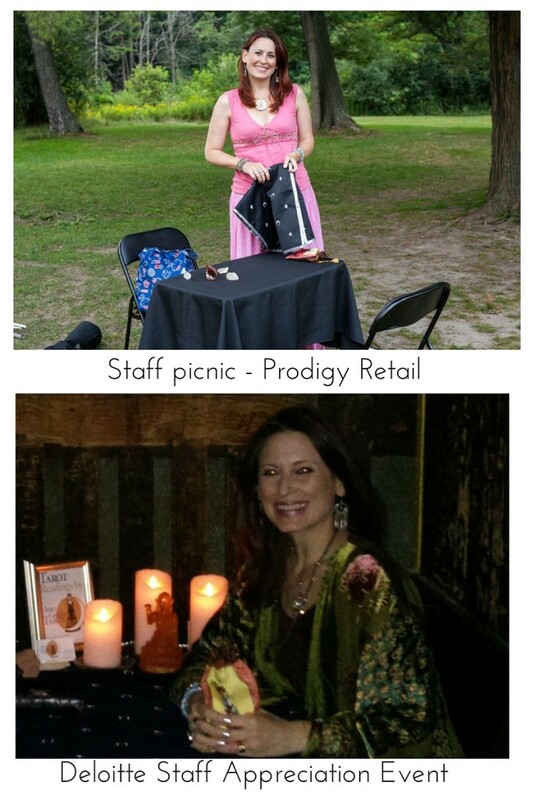 Inner Goddess Tarot provides unique, interactive and fun entertainment for small parties as well as large scale corporate and fundraising events, and is a great fit with client/donor recognition and staff appreciation/team building days. Lori is located in Toronto, Ontario, Canada. Having a Tarot card reader at your event adds an atmosphere of excitement and mystery. When guests arrive, and spot the Tarot reader sitting at their table, their interest is piqued. Some guests run right up to get a reading, others need a little while to get up their nerve. Either way, everyone loves to hear about themselves, and the experience is something that they will remember. Because it’s an event, I will keep the readings short and sweet (10 minutes maximum), so that everyone has a chance to give it a try. I am reliable, always on time and I give my ALL during the entire event. I need only minimal set up, just a table and two chairs (which I can provide if necessary). I don’t need a private room, just a spot a little removed from the action or the music/speakers. This is a great, low maintenance yet high impact entertainment option for you next event. Lori of Inner Goddess Tarot was simply amazing and brought her warmth and softening energy to our party. Everyone loved her readings and insights, so much that we had a line-up across the bar. 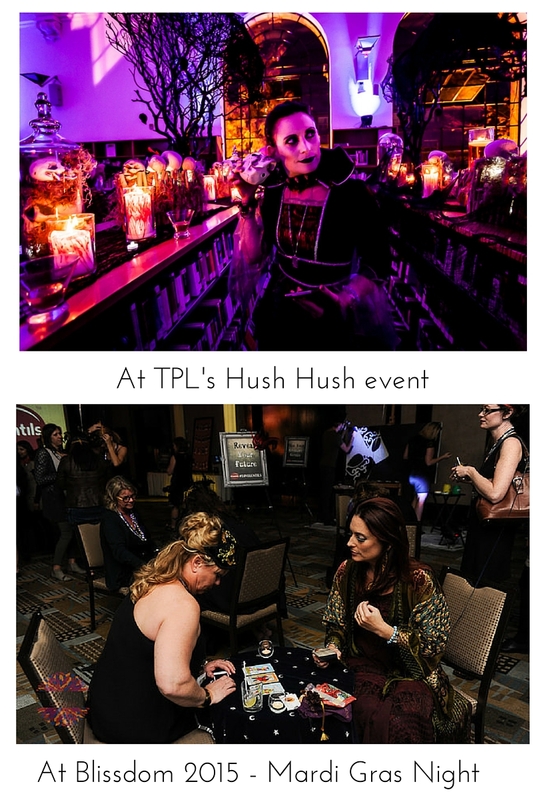 Thank you Lori for adding so much more to our annual Halloween Party, you were a hit! 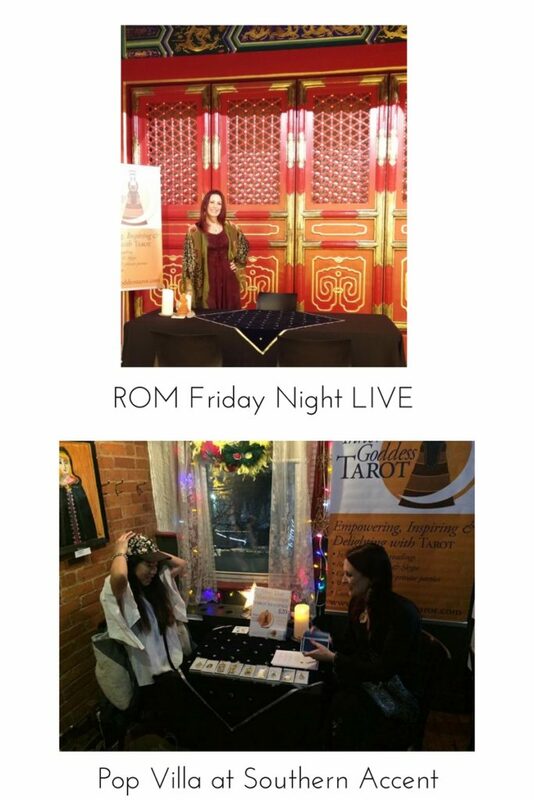 Inner Goddess Tarot provided readings during our staff event. What a hit! It was unique and fun and we will do it again! I personally was impressed with my reading as was the entire staff. Inner Goddess Tarot was professional and made everyone really understand their reading without it feeling hokey pokey. Definitely a must for any party or event! Lori was a great addition to our year end celebration! The team really enjoyed the experience and her demeanor and were lining up to get a reading, so we ended up extending Lori that evening to accommodate the high level of interest. We would definitely recommend Lori to anyone looking to organize an entertaining event for their group and hope to work with her again in the future. It was a real joy to have you at our picnic, everyone raved about their experience with you! I have nothing but positive feedback for you and I wouldn’t hesitate to recommend you to any of my friends or other companies looking for an awesome experience. Lori was perfect for our New Orleans event. She created a great atmosphere and was professional and engaging. Thank you! Please contact me below to discuss the details of your event and to receive a quote for your specific needs.